Washington and his army encamped at Valley Forge in December 1777, about 20 miles (32 km) from Philadelphia, where they stayed for the next six months. Over the winter, 2,500 men (out of 10,000) died from disease and exposure. However, the army eventually emerged from Valley Forge in good order, thanks in part to a training program supervised by Baron von Steuben. Meanwhile, there was a shakeup in the British command. General Howe resigned his command, and was replaced by Lieutenant General Sir Henry Clinton as commander-in-chief. 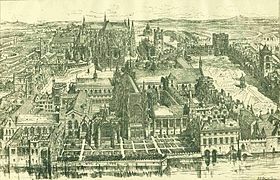 France’s entry into the war forced a change in British war strategy, and Clinton was ordered by the government to abandon Philadelphia and defend New York City, now vulnerable to French naval power. 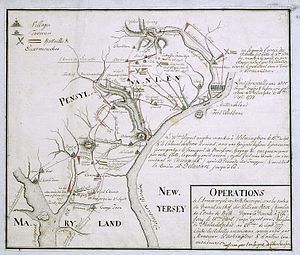 The British sent out a peace commission headed by the Earl of Carlisle, whose offers, made in June 1778 as Clinton was preparing to abandon Philadelphia, were rejected by Congress. As the British were preparing their withdrawal, Washington sent out Lafayette on a reconnaissance mission. 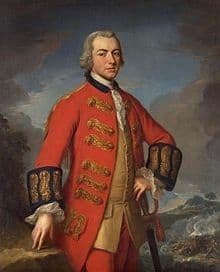 Lafayette narrowly escaped a British ambush at the Battle of Barren Hill. Clinton shipped many Loyalists and most of his heavy equipment by sea to New York, and evacuated Philadelphia on June 18. 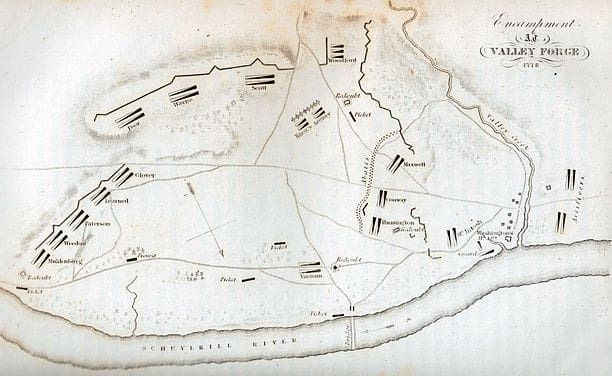 Washington’s army shadowed Clinton’s, and Washington successfully forced a battle at Monmouth Courthouse on June 28, the last major battle in the North. Washington’s second-in-command, General Charles Lee, who led the advance force of the army, ordered a controversial retreat early in the battle, allowing Clinton’s army to regroup. By July, Clinton was in New York City, and Washington was again at White Plains, New York. Both armies were back where they had been two years earlier.